With offices set within beautiful grounds situated on the outskirts of the historic City of York, Persimmon Homes Yorkshire provides a hardworking yet friendly working environment. 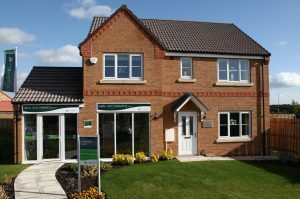 We are currently building a wide selection of beautifully designed homes of superb quality in prime locations throughout North Yorkshire, East Yorkshire, Humberside and Lincolnshire. “The best thing about working at Persimmon Homes Yorkshire is the team spirit. We are passionate about building new homes and proud to be employed by Persimmon”. 20 current developments, with plans for major growth. Offices based in Fulford on the outskirts of York, set in beautiful grounds with ample free parking and excellent access to the major road networks. An excellent place to work with a professional and highly motivated team providing a hardworking yet friendly working environment.